For the 33rd time, Athens “The Authentic” Marathon is ready to welcome more than 35,000 runners of all ages with 15,000 of them running the entire Authentic Marathon Course, also known as The Classic Marathon A celebration of human will and mind, of solidarity and primary values, bearing messages for a better future at personal, community, national and international level. 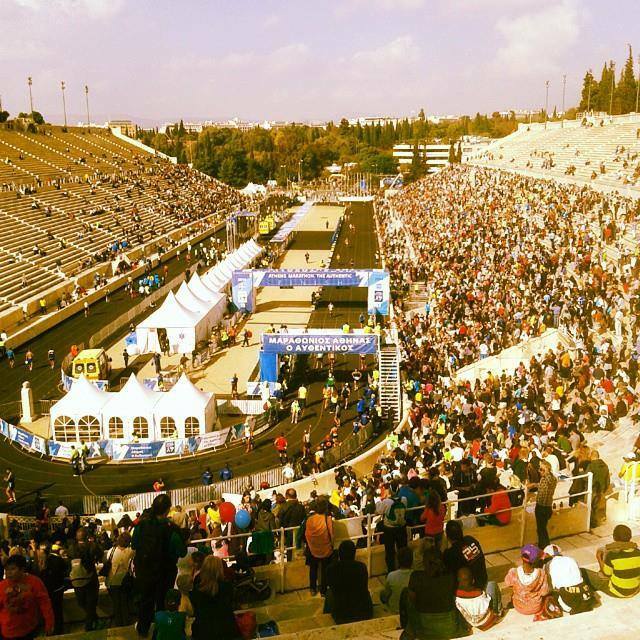 Welcome to the 33rd Athens “Authentic” Marathon and get ready to run and see first-hand where all the major important marathon athletes conquered the top. 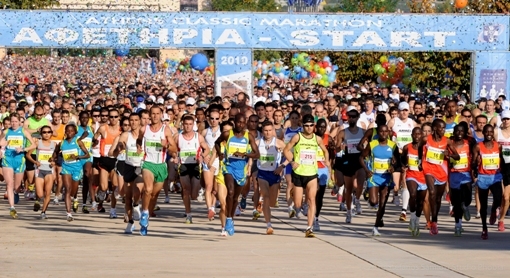 This event is a unique event, an exceptional lifetime experience for all Marathon runners around the world, held in Greece of culture and of sports. Marathon Race, 10km Road Race, 5km Road Race, Marathon Power Walking Race, 1.2km Special Olympics Road Race. In the heart and all around Athens. 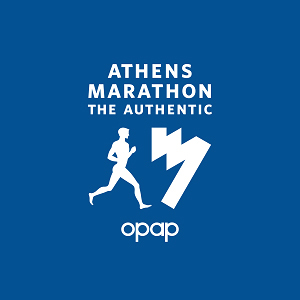 Participating in the Athens “Authentic” Marathon is a unique opportunity to experience and race in the center of culture and sports. Running along with thousands of people you can be part in this majestic celebration. Cancellations may be accepted only after written notification and only in case such a written notification is sent to the RunninGreece before August 31, 2015. After that date no cancellation request is accepted. In case of confirmed cancellation, the registration fee is refunded to the applicant, given that 10 euros are deducted for operational handling reasons. All refund requests are processes about one month after the event. Limit time: The Marathon Race is concluded at 17.30, by when all runners should have reached the finish line. Route: The first 200m of the course are slopping, leading the runners away from the Start area. The first 4 kilometers go downhill. The runners run along the Marathonos Avenue up to the 4thkm, where they turn left and enter the Marathonomachon Str., and area of the Marathon Tomb (War Memorial), which they follow for the next 2.2km. The course follows a rather circular route around the War Memorial. The course becomes flat from the 6th to the 10thkm (Nea Makri). From the 11th to the 17thkm the course goes uphill at certain parts. Then, and up to Rafina Junction, the runners meet a steep descent. Starting from the Rafina Junction, the course goes uphill again, while the most difficult part is found up to the 20thkm. As the runners pass along the district of Pikermi, they run through some of the, more or less, uphill parts of the course up to the 25thkm. The passage through the city of Pallini (27km - 28km) is also uphill. The last and most difficult part of the course starts from Gerakas and goes up to Stavros Junction (30km – 31km). This steep ascent is followed by a steep descent leading to the Agia Paraskevi Square. Then, the runners follow the Mesogeion Avenue, going through the districts of Chalandri and Cholargos, meeting flat and downhill parts of the course up to the finish. The most characteristic downhill part is the one that starts form the Ministry of National Defense and finishes at the Katechaki Junction (37.5km), where the runners pass under the relevant bridge. 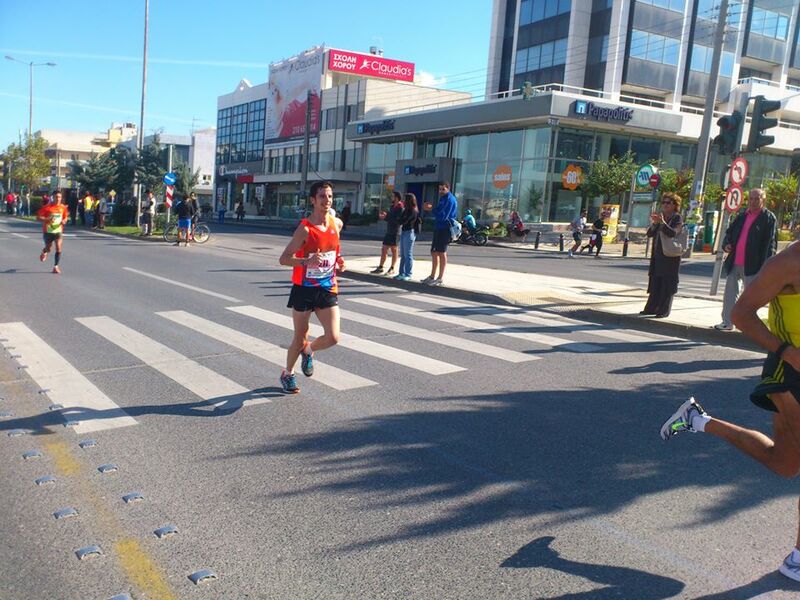 Right after the Erricos Dynnan Hospital, the runners continue left on Michalakopoulou Avenue until the traffic lights at Michalakopoulou and Pheidippidou crossroad. They continue running on Pheidippidou Str., until the crossroad at Kiffisias & Alexandras Avenue. The latter crossroad highlights the 39thkm, while the runners continue left on Vas. Sofias Avenue. On Vas. Sofias Avenue, the runners pass by the American Embassy, the Athens Music Hall and the Park of Liberty (40km), where the last feed zone is located. As they reach the Hilton Hotel, they slightly turn right heading towards the Syntagma Square, passing by the Evaggelismos Hospital and the War Museum. 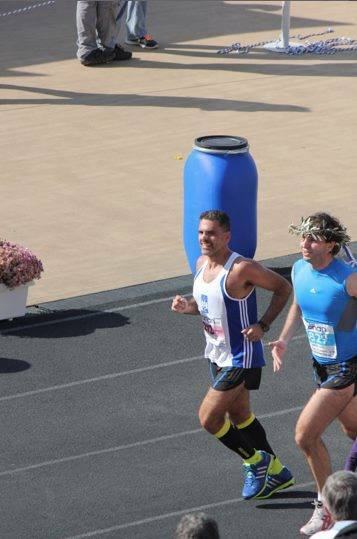 At the last part of the Marathon Course and having turned on the Hrodou Attikou Street, the runners have eye contact with the Panathinaikon Stadium, passing by the Presidential Residency and the National Gardens. Only a few meters remain in order for the runners to enter the Stadium and run the last meters inside it, before reaching the finish line. The runners enter the Panathinaikon Stadium from the left side, where the Finish Arch is found. Limit time: The Marathon Power Walking Race is concluded at 17.30, by when all runners should have reached the finish line. Route: The first 200m of the course are slopping, leading the runners away from the Start area. The first 4 kilometers go downhill. The runners run along the Marathonos Avenue up to the 4thkm, where they turn right and enter the Marathonomachon Str., and area of the Marathon Tomb (War Memorial), which they follow for the next 2.2km. The course follows a rather circular route around the War Memorial. The course becomes flat from the 6th to the 10thkm (Nea Makri). From the 11th to the 17thkm the course goes uphill at certain parts. Then, and up to Rafina Junction, the runners meet a steep descent. Starting from the Rafina Junction, the course goes uphill again, while the most difficult part is found up to the 20thkm. As the runners pass along the district of Pikermi, they run through some of the, more or less, uphill parts of the course up to the 25thkm. The passage through the city of Pallini (27th - 28thkm) is also uphill. The last and most difficult part of the course starts from Gerakas and goes up to Stavros Junction (30th – 31stkm). This steep ascent is followed by a steep descent leading to the Agia Paraskevi Square. Then, the runners follow the Mesogeion Avenue, going through the districts of Chalandri and Cholargos, meeting flat and downhill parts of the course up to the finish. The most characteristic downhill part is the one that starts form the Ministry of National Defense and finishes at the Katechaki Junction (37.5km), where the runners pass under the relevant bridge. 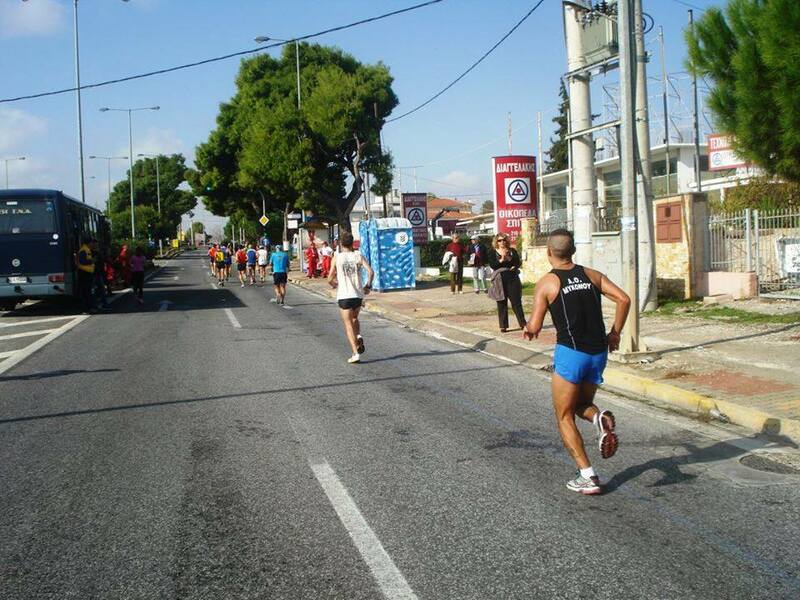 Right after the Erricos Dynnan Hospital, the runners continue left on Michalakopoulou Avenue until the traffic lights at Michalakopoulou and Pheidippidou crossroad. They continue running on Pheidippidou Str., until the crossroad at Kiffisias & Alexandras Avenue. The latter crossroad highlights the 39th km, while the runners continue left on Vas. Sofias Avenue. On Vas. Sofias Avenue, the runners pass by the American Embassy, the Athens Music Hall and the Park of Liberty (40km), where the last feed zone is located. As they reach the Hilton Hotel, they slightly turn right heading towards the Syntagma Square, passing by the Evaggelismos Hospital and the War Museum. The runners enter the Panathinaikon Stadium from the left side where the Finish Arch is found. Limit time: The race is concluded at 10:40am, by when all runners need to have accessed the finish line. Route: Amalias Avenue, Panepistimiou Avenue, Char. Trikoupi Str., Akadimias Avenue, left of Vas. Sofias Avenue, Pheidippidou Str., left on Mesogeion Avenue up to the Police Academy, u-turn (at the Police Academy lights), Mesogeion Avenue, Michalakopoulou Avenue, Pheidippidou Str., left on Mesogeion Avenue, Vas. Sofias Avenue (in front of Hilton Hotel), Hrodou Attikou Str., access the Panathinaikon Stadium courtyard, enter the Panathinaikon Stadium and finish in the Stadium, from the left side. Limit time: The 5km Road Race is concluded at 09.15am, by when all runners should have reached the finish line. Route: Amalias Avenue, Panepistimiou Avenue, Riga Ferraiou Str., right on Akadimias Avenue, left onVas. Sofias Avenue, u-turn on Vas. Sofias Avenue - NIMITS Hospital Junction, Vas. Sofias Avenue (in front of the Hilton Hotel), Hrodou Attikou Str., access the Panathinaikon Stadium courtyard, enter the Panathinaikon Stadium and finish in the Stadium, from the left side. • Marathon race & Marathon Power Walking race: Marathon Start Venue in the town of Marathon. • 5km Road race: Amalias Avenue in front the Zappeion Megaro entrance and at the level Eurobank building (Mposodaki premises) on the direction to Syntagma Square. 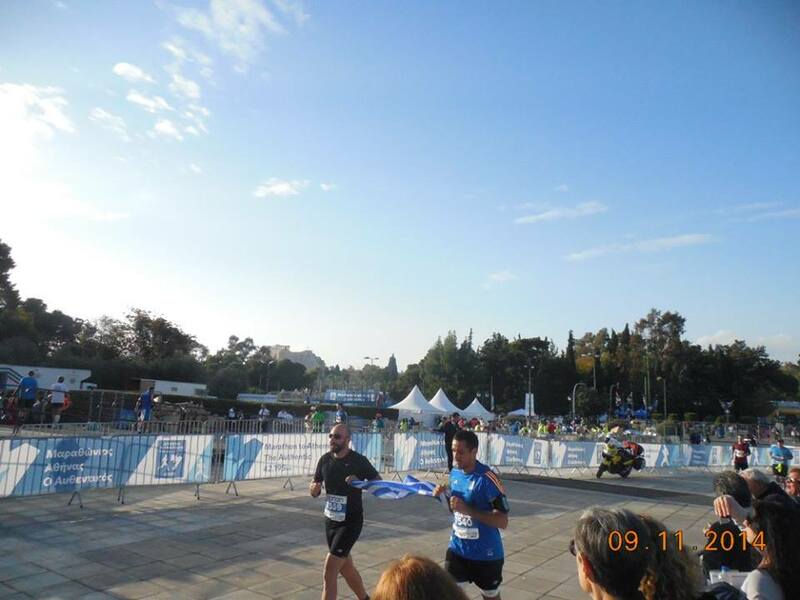 • 1.2km Special Olympics race: Vasilis Sofias Avenue at the level of the Parliament. 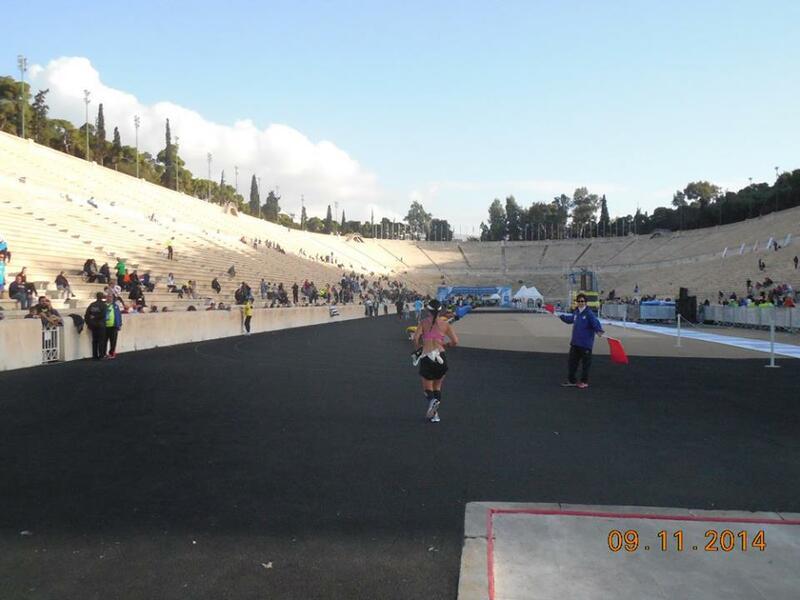 Finishing point for all races: Panathinaikon Stadium. Medals and certificates will be awarded to the first three men and women winners as well as to the winners of the Hellenic National Marathon Championships. A commemorative cup will only be awarded to the first man and woman. All runners will receive a timing chip from the Registration Center at Τae Kwo Do Indoor Hall along with their bib number. By using the chip, runners will be registered in the official results list and will be informed about their split times (split timing zones are located every 5 kilometres and at 21.1km). Any runner for whom no time is shown at the Start, the split timing zones and the Finish, will be disqualified. The timing chip along with the bib number indicate the athlete’s identity and starting block in the electronic system. Only athletes who: a) participate in accordance to the rules, b) are placed in the right starting block, c) have timing indications at the Start, split timing zones and the Finish, and d) complete the race within the time limit (8 hours) will have their final time and split times included in the official results list and will receive a participation certificate. Departure from the hotel around 06:00am according to the race organization schedule. All the pre-race details are taken care of so you can save your energy to run the Marathon. • Monday, November 9: Enjoy Athens! Free day to relax from the race and enjoy Athens. We also offer you One Day Cruise to 3 Islands, One Day Trip to Olympia and other trips at exclusive prices! 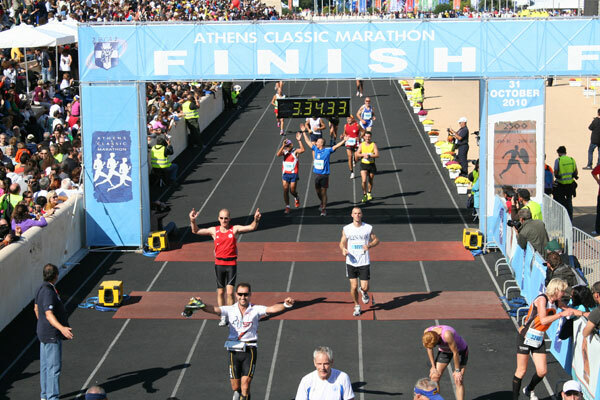 - All stayings will be at 4 star hotel in the center of Athens, close to the finishing line on the Marathon. - Time schedule is indicative and there might be changes. Athens is considered the intellectual and artistic centre of Greece, a jewel of the ancient world. It is the city where mankind's most precious and most significant moral values were founded. Philosophy, science, literature, art and drama are just some of the concepts born in ancient Athens. Democracy, freedom, justice and forward thinking are ideals conceived in this great city, which are the core principles of western civilization and our society today. So much of Ancient Greek History took place in the city of Athens. Athens, the city of intellect, is part of the Attica basin situated at the south-eastern tip of the Greek mainland. The city of Athens is the capital of Greece and it is the country’s heart and its economic and industrial, as well as political and cultural centre. The City had the honour of hosting the 2004 Olympic Games which led to major changes in the area: a new international airport, new metro lines and a new ring road around the city were constructed, while new landscaping added millions of indigenous trees and shrubs to the region. The Athens 2004 Olympic Games added a significant chapter to the history of the city, leaving behind important legacy as far as infrastructure and technology is concerned, and putting Athens among the most hospitable metropolis of the world.